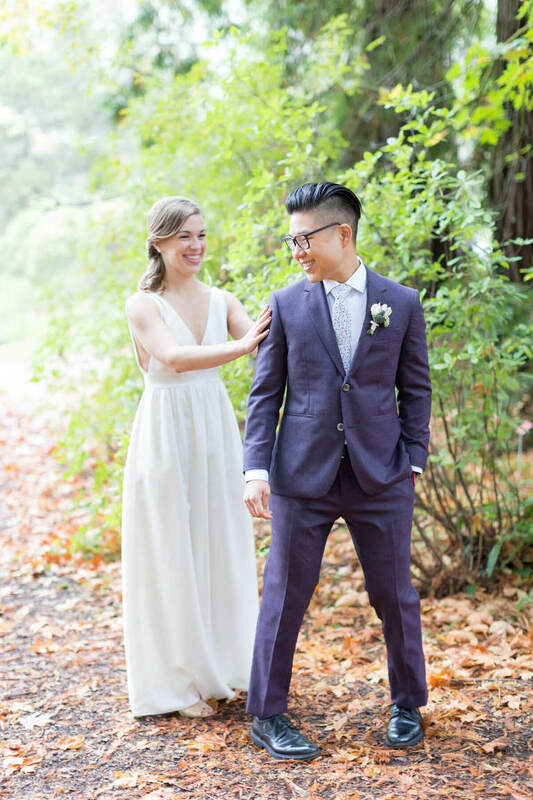 Maya and Kevin did a first look before their SF City Hall wedding. 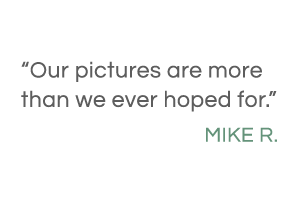 As wedding photographers with experience with hundreds of weddings over the past several years, we highly recommend doing a first look before your wedding. Many think that this breaks too much with tradition, but we disagree. 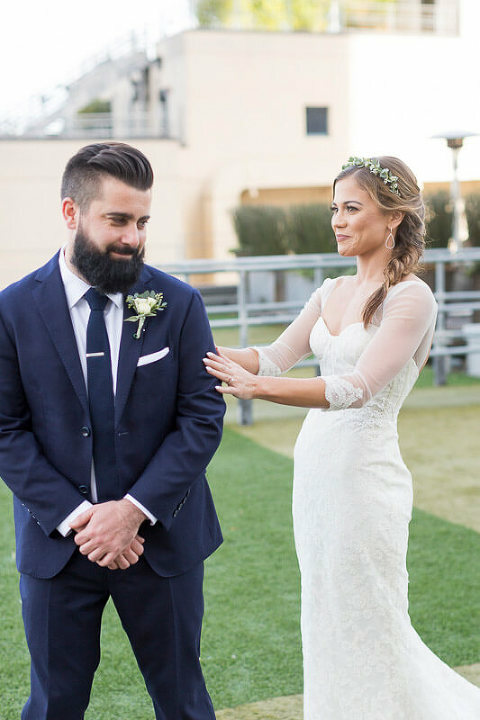 Who said that you have to wait until the actual ceremony to see each other? What exactly is a first look? This term isn’t always familiar to newly engaged couples, so we make sure to tell every couple about it. 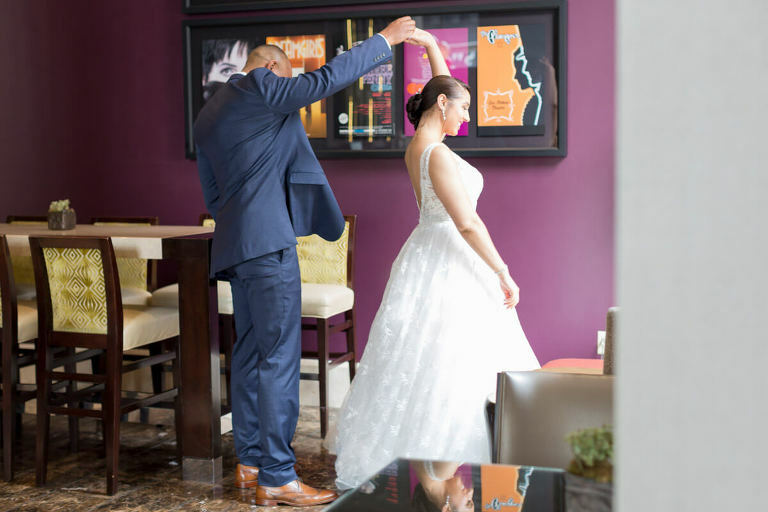 After everyone is ready – makeup applied, gown donned, ties tied – you both meet at a designated place outside the eyes of your nearest and dearest. It’s a moment when the two of you can see each other for a bit of privacy before appearing before your guests. Since it only takes a few minute, you can follow with as much time as you need for lots of beautiful photos of just the two of you. If that alone doesn’t sound appealing (and it should!) allow us to convince you with five reasons why we think a first look makes every wedding just a little bit better. 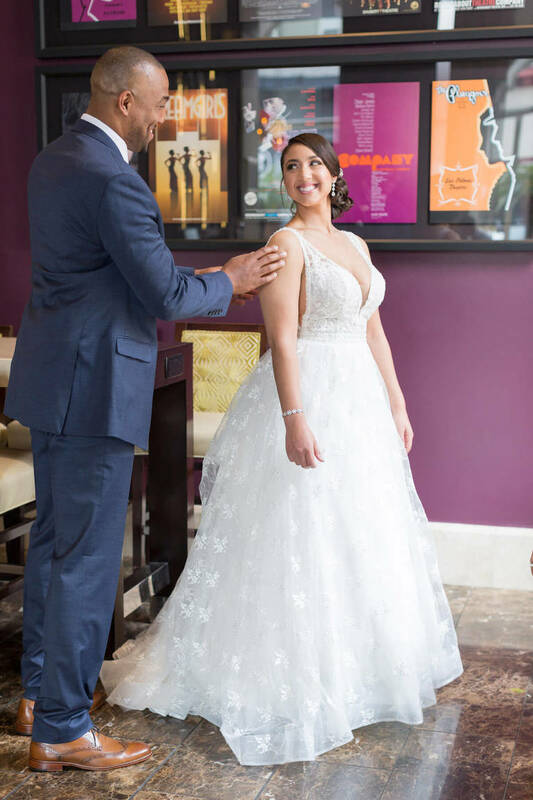 When you start to plan out the details of your wedding day, it’s easy to get so focused on the timing of the ceremony and reception and every tiny moment during and between. Don’t forget about pictures of just the two of you, which will be your most prized photos from the whole wedding day. 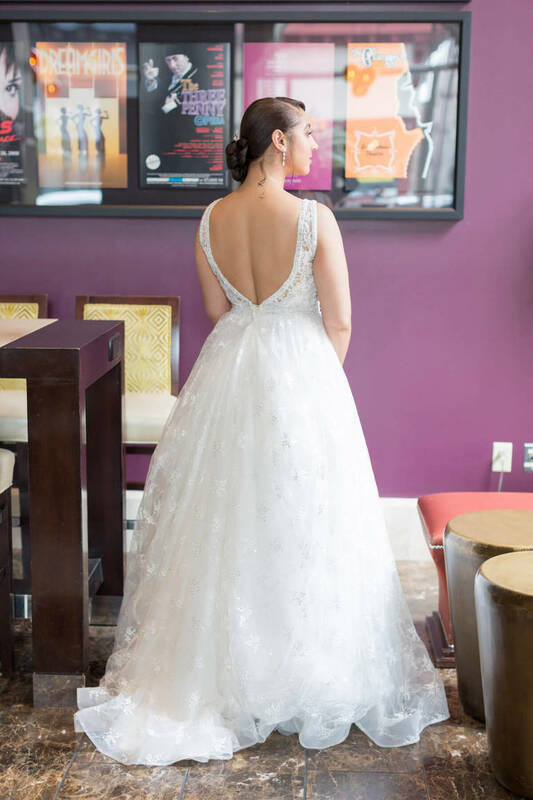 Instead of cramming in a photo session at the venue right after the ceremony, take some time before the day even gets started and do a first look with your photographer. Choose a place where you’d like photos of the two of you where you’ll both arrive freshly dressed and made up. Give yourselves enough time before the ceremony so that you don’t feel rushed and are able to get all the photos you want. If you’re going to multiple locations throughout the day, adding a nice chunk of time for a first look (before the day really gets started) simply makes for a much smoother day for everyone. During a traditional wedding, the bride and groom don’t see each other until the bride walks down the aisle. 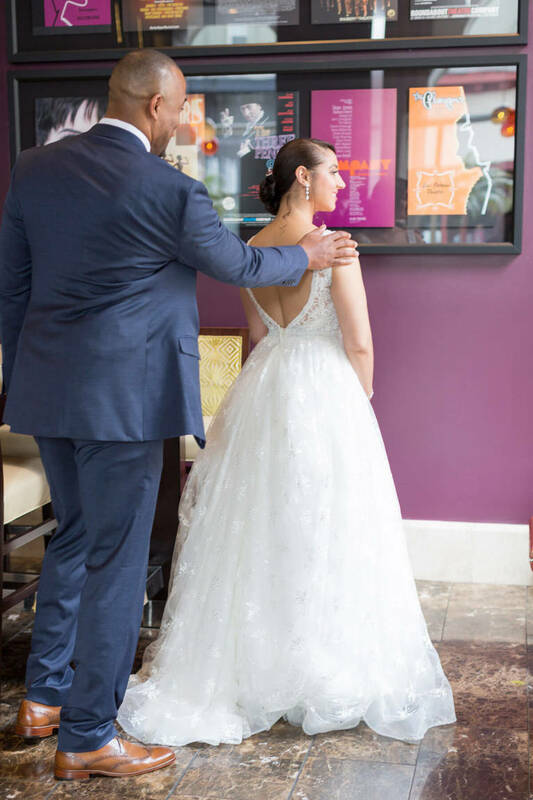 During a first look, which can easily take place before a traditional wedding ceremony, the two see each other in a more intimate setting, with only their photographer as a witness. Seeing each other for the first time on your wedding day isn’t such an intimate moment when all of your best friends and family are staring at you! That’s why we love first looks since they allow both partners to have this really special moment all to themselves. It’s all about the two of you today, so take this one moment to enjoy it. Since it is such an intimate, special moment, it’s much easier to let your emotions loose. Your true emotions won’t be halted or edited as they would be when surrounded by all your guests. When you’re away from the guests, you can really let all your emotions go. 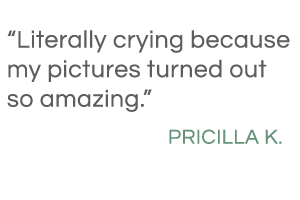 We love witnessing the true, raw emotions that come through during such an intimate moment. 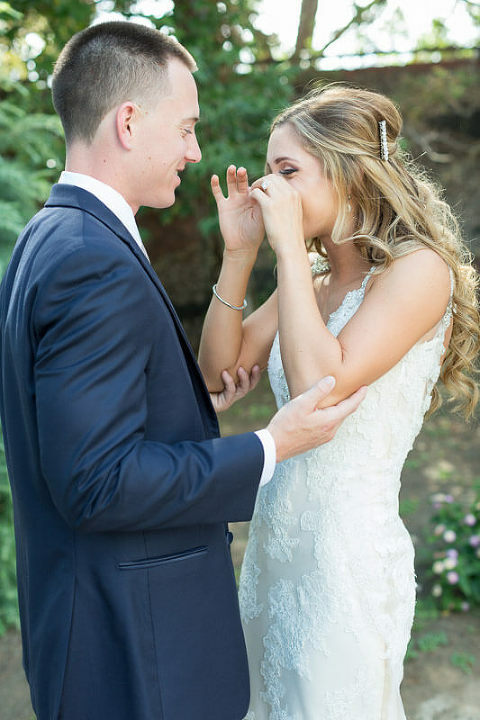 Some couples get emotional and need a few moments to really process what the day means and the love they have for their partner, and a first look provides the perfect moment for just that. When you’re limited to a single setting for photos, such as the reception venue, it often limits the photographer. 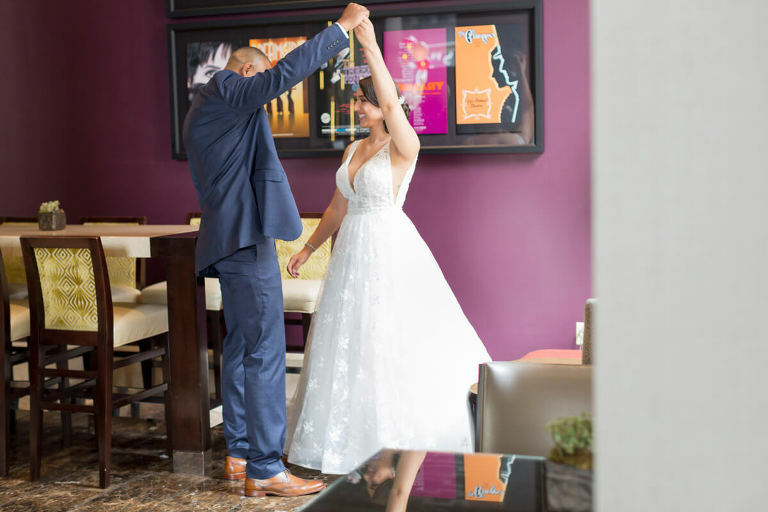 Let’s say during a typical wedding, you have your ceremony, some shots with family members or perhaps a group shot, and then everyone heads over to the reception area waiting for you to take your photos. Since that limits your time, it also usually limits your location to a single area. That’s the beauty of a first look! 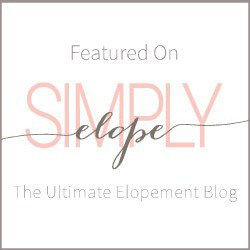 We’ve already mentioned how it makes everything smoother for you, but imagine how much smoother and more exciting it is for your photographer to have multiple areas available for unique photos. You can set aside as much time as you need for every photo you wish to have, even if that means going to a few different locations. Like we mentioned above, during a traditional wedding couples have a very narrow time frame to get photos done. That is, if they are trying to rush it so as to not leave their guests waiting around for them! All of us have been to weddings where we wait for hours for the bride and groom to arrive at the reception after having their photos taken. If you do a first look, this waiting time for your guests is greatly reduced. After the ceremony, you may want photos with family, the wedding party, and your officiant, but then you’re done! You are free to head to the reception where you can relax a little bit and enjoy the rest of the day. 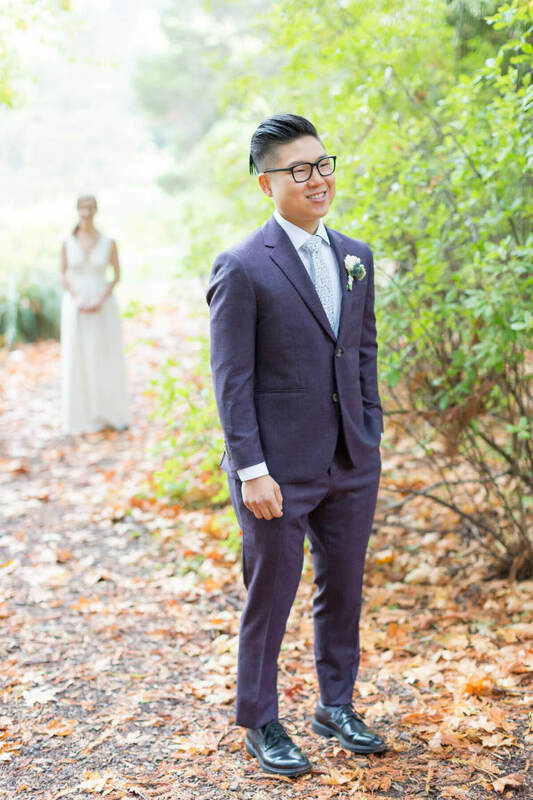 With every wedding we photograph, we highly recommend a first look to every couple. It’s a very special, intimate moment, that makes the entire day run so much easier and smoother for everyone involved. 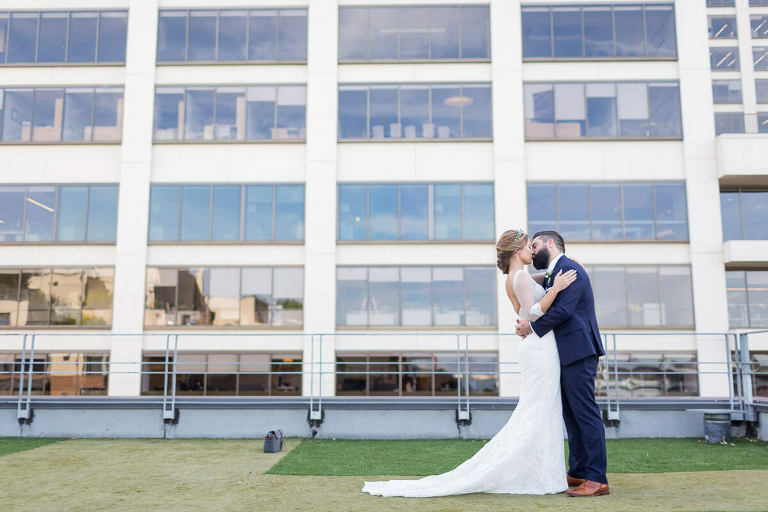 We love the first look of modern weddings and we are always ready with ideas to make it uniquely yours. 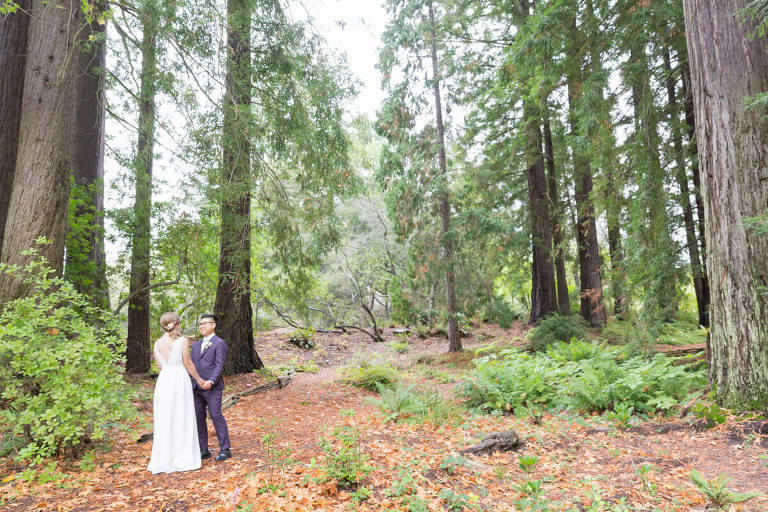 Here are just a sampling of some first look photos that we’ve done at our weddings here in the San Francisco Bay Area. Browse through each slideshow to see the first look, moment to moment! Tap or swipe to navigate through the galleries. 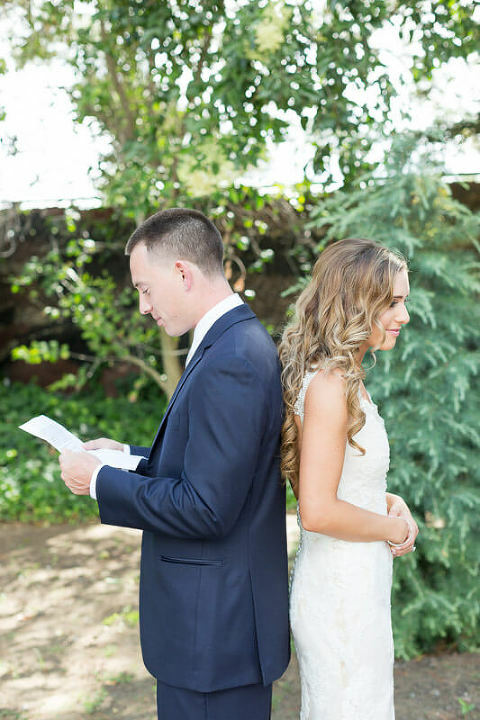 We love that they read each other their vows before turning to face one another. So romantic and lovely! 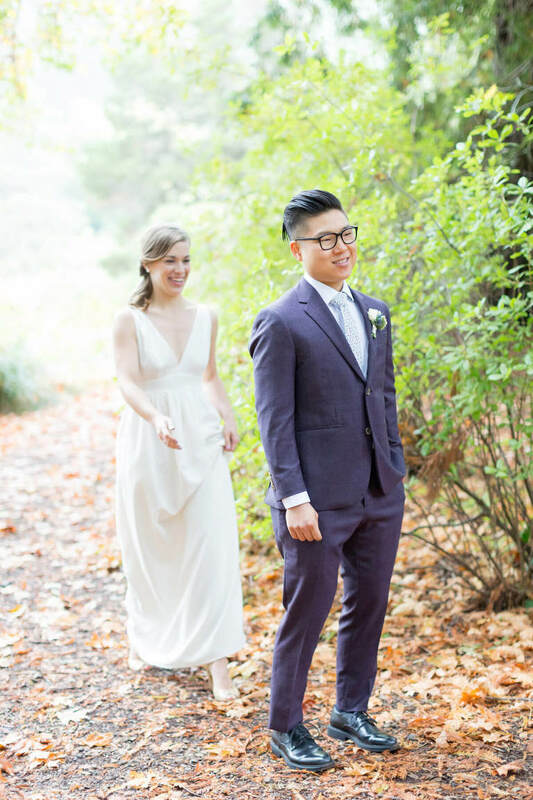 This Botanic Garden wedding was so magical, made even more so with this first look. 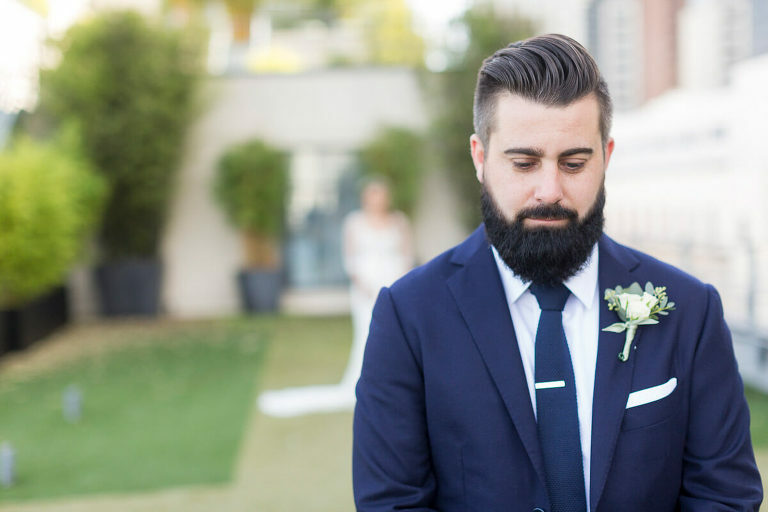 The details from this wedding are incredible! 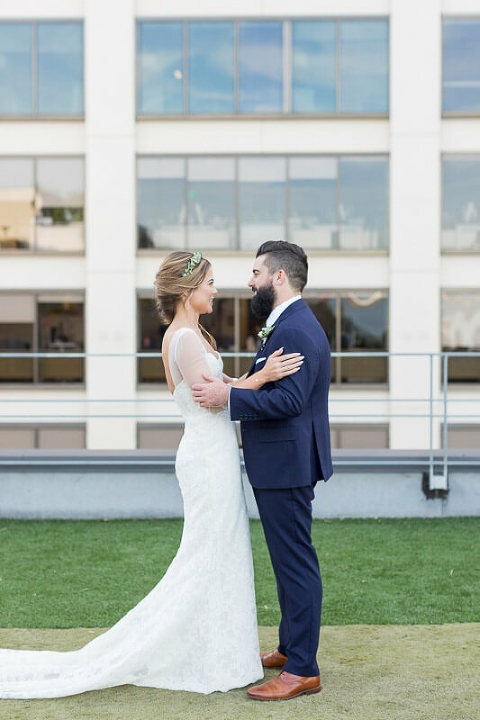 After their first look, we had so much fun taking gorgeous photos in San Francisco. SF City Hall weddings tend to be rather quick, even the private weddings, so it was a treat for this couple to take some time for a first look before their gorgeous ceremony.